When the financial rubber band snaps . . . When I was 30 I was leading of team of clever health researchers. It was a leadership role that paid well and was a satisfying challenge. My partner was finishing his Master's degree (to give him more options in the scientific field). The outlook for our financial health was pretty good, and we (somewhat naively) thought things would only get better from here. Ha! Two children, sky rocketing house prices, a period of unemployment for us both, and the prognosis became less cheery. The diagnosis it turns out was life. When we map out the incomes of a group of educated people over time what we see is not a gently rising slope (as we would prefer), but rather a plate of spaghetti. In the figure below, incomes from men and women in the UK were mapped over time. Each line represents around 500 people who contribute regularly to what is called a ‘panel survey’. What we can see is the so called “spaghetti effect” of income over time at play. Despite our best intentions to improve our financial wellbeing as we age, life often gets in the way. It gets in the way with the expected and positive things like having children, but also the unexpected happens to impact our financial wellbeing. Relationships break up, redundancies occur and accidents and ill health take their toll. What the figure above tells us is that these things happen more than they don’t happen. Is this a big surprise? That s*** happens to people? It should not be. But how do we as individuals and people in government plan for this reality happening to people in New Zealand, and are those plans sufficient? In other words, what happens in New Zealand when we find ourselves poor? What happens when we find ourselves poor? We call the events that tip us into financial hot water trigger events because they are the trigger for a period of lower income. We know from data collected in a longitudinal study of New Zealanders' wealth and incomes (called SofIE), that over 50 percent of New Zealanders experience at least a year of income poverty (defined as earning 60 percent or less of the median income) after having a child. For near 30 percent this poverty will continue for at least three years. So having a baby is for many of us a trigger event. Most families, however, will bounce back out of this slump in our incomes, a bit like a rubber band gets stretched and pings back. Children get older and we are able to spend more time at paid work. Notably, government supports also kick in, for example 20 subsidised childcare hours when children hit 3 years make childcare more affordable, and Working for Families tax credits are available to all families in various amounts depending on their income and circumstances. Of course we can argue that a year or two coping on a lower income is not so terrible if we know we are going to come out of it, but the bad news is that for babies there is no leeway. Studies of brain development tell us that what happens (or does not happen) in the first three years of life lays the foundation for a person’s long-term wellbeing. A particular group of neuroscience studies have shown us that the very physical structures of the brain do not develop as extensively in children who live in a family with insufficient resources; the design of the studies makes us confident it is resource sufficiency influencing that brain development. While it is not an irrevocable effect, it puts these children at a huge disadvantage and they will need massive support later to catch up to their peers and thrive. One problem we have is that we don’t know how long exposure to poverty needs to occur for these impacts to be felt, or whether there are very specific periods of a child’s development that are more important (for example the first year versus the second year). What the research is telling us is that for children, any period of poverty may be too much. What about those who don’t bounce back? 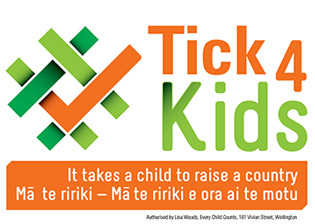 While some families may ‘bounce back’ eventually, data from New Zealand tells us that for too many people there is no bounce back after a trigger event; the rubber band snaps and they end up in long-term poverty. In ‘State of the State New Zealand 2017’ researchers from Deloittes and Toby Moore from Victoria University’s School of Government analysed recent income data and found one in nine New Zealanders experience a significant financial shock, and for lower- and middle-income Kiwis the risk increases to one in six. When we consider how many New Zealanders are barely making ends meet it is hardly surprising they have nothing put aside when a major health issue hits or they face the loss of their job. Recent research from Statistics New Zealand has shown us that 5 percent of Kiwis are living in debt, and 25 percent are living right on the edge. The issues contributing to this reality are well chewed over: consistently rising housing costs that take up to 60 percent of low-income people’s incomes, high food and transport costs, work that does not pay enough and an increase in the precarious nature of that work. These are issues that tell us that for many people, the ability to be personally resilient to a financial shock is simply not an option. What then can people in government do? People in government need to choose to act on the reality of people’s lives with policies for when the inevitable happens. The current policy supports being selected are insufficient; people in government are choosing policies that are the equivalent of giving someone with a broken leg a crutch that is 10cm too short. The focus on limiting ‘the cost’ of the very people who government is there to act on behalf of has gone too far. People in government are far too intent on stopping people accessing the public pool of funds we all contribute to when they most need it. We can fix this. The Deloitte report suggests that more needs to be done to provide money to families with children, specifically, that child tax credits be brought back. My own work shows that reintroducing the family benefit (an unconditional basic income for families with children) would significantly improve children’s wellbeing. Evidence shows it is more powerful than any other invention for improving children’s wellbeing that has been trialled (including targeted interventions like parenting education). The Deliotte report also argues for income top-ups more generally to improve household resilience to these trigger events. When we find ourselves dealt with a bad hand in life, it is unacceptable that the people we have charged with allocating support from our public pool act in a way that erodes the self-respect of New Zealanders. When we find ourselves poor in this country, we need the freedom and confidence to bounce back. Sufficient income support from central government can achieve this. What happens when we find ourselves poor in NZ? Original generation time 1.4528 seconds. Cache Loaded in: 0.0313 seconds.